Are you looking for Software Testing, QA jobs in Hyderabad, Bangalore, Chennai, Gurgaon and Pune?? The senior solutions engineer is required to communicate and share knowledge of the CRM frameworks with peers, GCS and the Pega community at large (through forums like Mesh). 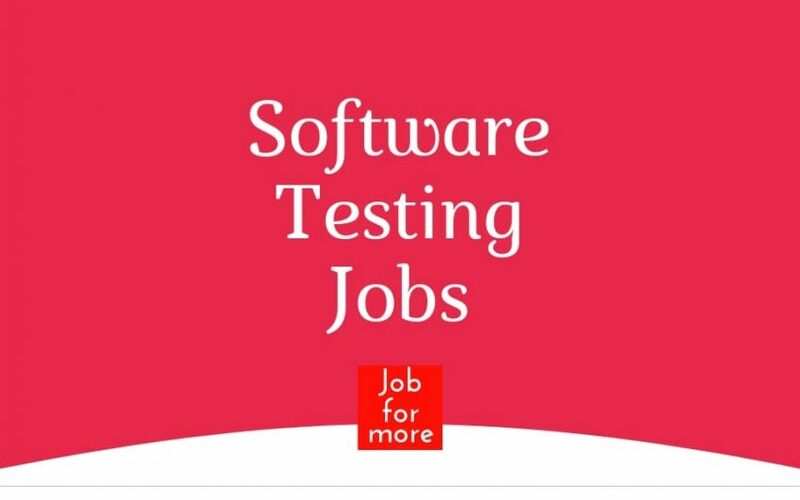 4- 5 years of relevant experience in Software Quality Assurance Testing– both manual and/or automated testing. Experience in testing IT/MIS type applications featuring web or client/server applications, portals, and data warehousing. Experience with performance monitoring, measurement, and tuning of GUI database applications, web-based applications, applets, and servlets. Bachelors in Computer Science or Electronics and Communication Engineering or related field. 2 to 4 years of experience in Automotive infotainment & System testing. Sanity, smoke, and regression testing on the full test bench. IT Delivery Planning – Organize, document and conduct a preliminary review of work items scope and technical requirement document from a technical viewpoint for projects in a given technology area. Domain Knowledge, Services Innovation – Considers the total user experience, technical feasibility, and market viability in all aspects of the product development process. Leverages domain knowledge and expertise and collaborates with diverse teams to create robust solutions that advance the business. Present ideas for system improvements, including cost proposalsProduce detailed specifications and writing the program codes. Document and Prepare training manuals for users. QA is the gatekeeper of Quality for the engineering organization. She / He is responsible to see that all new capabilities meet the functional and non-functional requirements as defined in the user story as well as see that existing capabilities are not broken. Testing SAAS based products to see that solutions are built with enhanced customer experience. Working closely with Dev / Dev-ops. Build low cost, high-quality solutions that are accessible to everyone. Intelliswift- We are hiring QA Engineer with hands-on experience Selenium, with hands-on experience Cucumber, SQL, Rest-API. Hands on experience Cucumber, SQL, Rest-API. HS Markit is seeking experienced testing professionals to join its IHS Markit India operation. This position will involve hands-on test build /execution role in the financial domain. Experience in Test Automation Tool/Frameworks for example Selenium WebDriver, SoapUI, Cucumber, TestNG, JUnit. Proficient in Java / Selenium / API Testing. Experience in designing high-efficiency tests for scalable, distributed applications. Strong Database knowledge: Should be able to define & develop Automation Frameworks for Database-centric / ETL Applications. Minimum 2 to 4 years of experience in .NET. Experience in working with design patterns especially MVC. Experience in Web Services, Windows Services and WCF, WPF. QED42 Engineering Pvt Ltd is looking to hire experienced QA Engineers on board who are detailed oriented. QA Engineer is expected to have experience and willing to do both manuals as well as automation testing on Drupal projects. 3- 5 Yrs experience as QA engineer on Medium to the Large web project. Excellent grasp of QA concepts. Experience with Responsive Testing will be an added advantage. Experience with Agile teams is a must. Automation using selenium, behat etc. Load testing — jMeter or other tools.